Hanoi (VNA) – Vietnam’s retail market has developed strongly in recent years, with a large amount of foreign investment poured into the market. In the first months of 2019, Ryohin Keikaku – a Japanese firm that runs household product and apparel chain Muji – announced its decision to establish Muji Vietnam Ltd., Co. in the Southeast Asian nation. IKEA, the Swedish home furnishings retailer, plans to build a retail centre and warehouse in Vietnam, with total investment of about 450 million EUR (505 million USD), aiming to provide home interiors to the nation. Firms currently in Vietnam also plan to expand their operations. Japan’s Aeon, for example, will pour another 5 billion USD into 30 large-scale commercial centres in Vietnam, while Lotte of the Republic of Korea (RoK) will open an additional 60 Lotte Mart supermarkets in 2020. Thailand’s Central Group, which owns the Big C supermarket chain, will inject another 500 million USD to open 500 convenience stores in the country in the next five years. To compete with foreign rivals, domestic retail firms have made efforts to build distribution systems in cities and provinces. Vingroup, which runs the largest retail system in Vietnam with about 100 Vinmart supermarkets and 1,700 Vinmart convenience stores, aims to raise the number of supermarkets to 200 and convenience stores to 4,000 by 2020. Tran Thu Hien, Deputy General Director of Vincom Retail, said the company will open another 13 commercial centres in 2019, increasing the total number of centres to 79. The Bach Hoa Xanh chain of The Gioi Di Dong JSC and Saigon Co.op are also working to expand their operations. 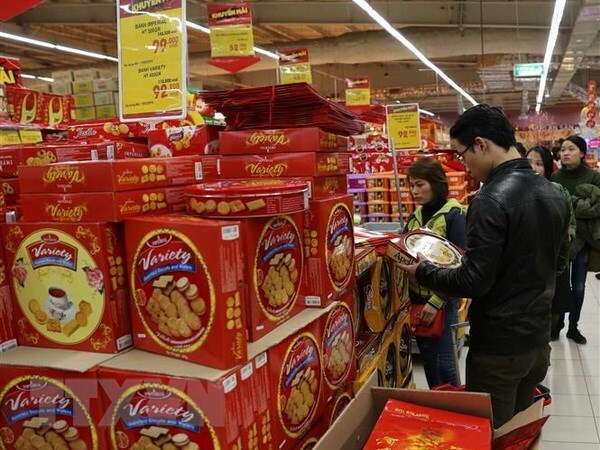 Le Viet Nga, deputy head of the Domestic Market under the Ministry of Industry and Trade, said these moves by domestic and foreign groups shows the attractiveness of the local retail market, noting that the competition to gain market share is growing fiercer. Under the Comprehensive and Progressive Agreement for Trans-Pacific Partnership (CPTPP), Vietnam will remove limitations on the opening of more retail stores after the deal comes into for five years in 2024. Therefore, the Vietnamese retail market is expected to boom, with the participation of both traditional distributors and major e-commerce groups like Amazon and Alibaba. Dang Thuy Ha, Northern Region Director of market research company Nielsen Vietnam, said multi-channel retail will be a major trend of the Vietnamese market this year.